Selecting gifts for family, friends, and neighbors can offer a challenge to even the most organized amongst us. Making a gift special requires effort; either in remembering the correct size, or a favorite color, a type of music or even a favored flower. A good gift is something that shares your passion with a friend, or contributes to their interests through your gift. 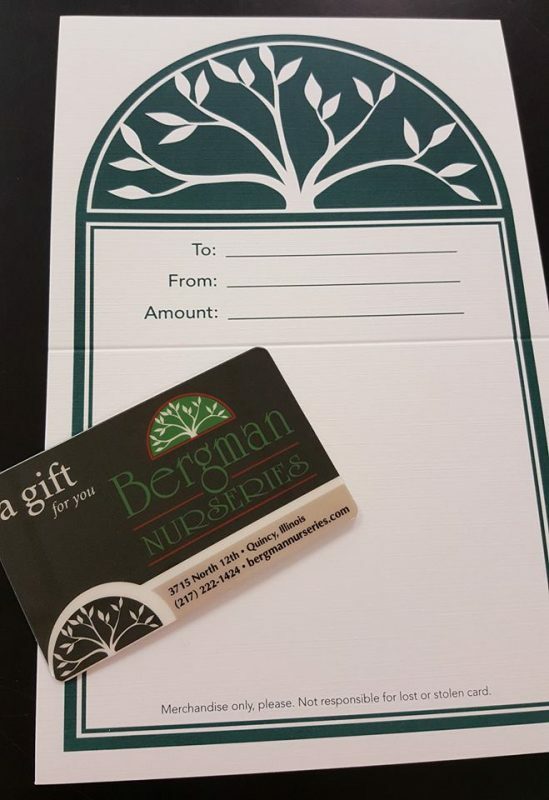 That’s why a gift card from Bergman Nurseries is always the right choice!